League of Geeks announced Thursday that Armello, the digital board game ported to PlayStation, XBox, PC and mobile, is coming to Switch this month. It’s an absolutely adorable game that looks like an anthropomorphized Sid Meier’s Civilization. Players choose from up to 20 heroes and embark on a quest to overthrow the evil lion king via four-player competition. Each tribe has its own hero with the same goal, though. 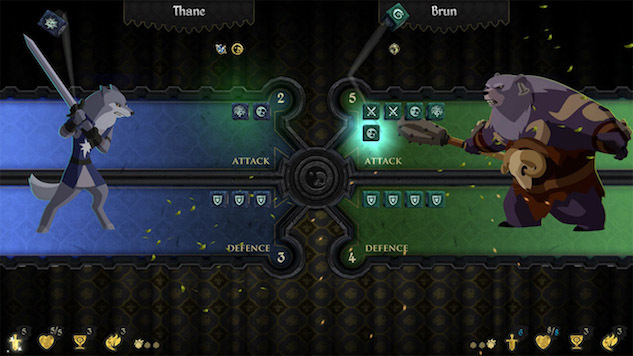 Armello combines role-playing, tabletop and card game elements, and this version will boast all the updates that have come before. Though cross-platform battles aren’t guaranteed, online play will be ready at launch. Paste’s own Cameron Kunzelman conducted a 2016 interview with one of the game’s lead developer’s that you can check out here. Otherwise, look for Armello to hit Switch on Sept. 27, and check out the gorgeous animation on display in the trailer below.